DLW has stopped acceptance of Tender Cost manually for e-tenders. Vendors, who have submitted their offer with manual mode of Tender Cost may please note that the facility of online re-submission of Tender Cost is now available on IREPS portal. Hence, vendors who have submitted Tender Cost manually may please again submit Tender Cost through online mode otherwise their e-offer will be summarily rejected.
! !Jai Hind!! 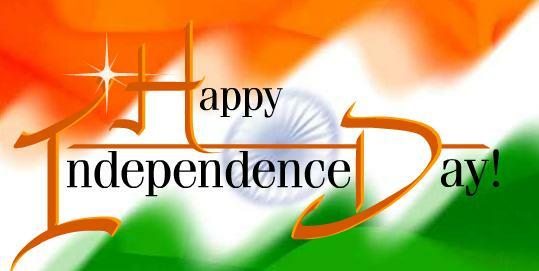 Wish you all a very Happy Independence Day. Some facts about Indian Railways e-Procurement System (IREPS) for the financial year 2016-17? More than 1,14,153 Tenders tenders issued through IREPS. More than 5,873 Vendors registered with IREPS for e-tendering. More than 108 Bidders registered with IREPS for e-auction. Scrap of more than 486.35 Crores sold through E-Auction on IREPS. It is brought to the notice of all bidders that manual/ offline mode of payment through Demand Draft, Banker's cheque, Deposit receipts, Guarantee Bonds etc. shall not be available to Indian firms against supply tenders published on or after 01.09.2016. These bidders will have to make the payment towards tender document cost and earnest money against such tenders through online payment modes like net banking, debit/ credit cards etc. available on IREPS portal. Bidders are advised to start using the online payment modes and familiarize themselves with these payment methods well in advance to avoid any inconvenience. IREPS application was launched on 25.08.2008. No. of tenders published through this application increasing day by day and it has been crossed 11 Lakhs tenders recently. IREPS will achieve another milestone very soon when the sale of scrap will cross 10,000 crores. More than 11,00,324 Tenders tenders issued through IREPS. More than 39,619 Vendors registered with IREPS for e-tendering. More than 2,515 Bidders registered with IREPS for e-auction. Scrap of more than 8,908.00 Crores sold through E-Auction on IREPS. Note: These stats are till 31.07.2016.